Location: Law office of Cheryl Chapman Henderson, LLC. 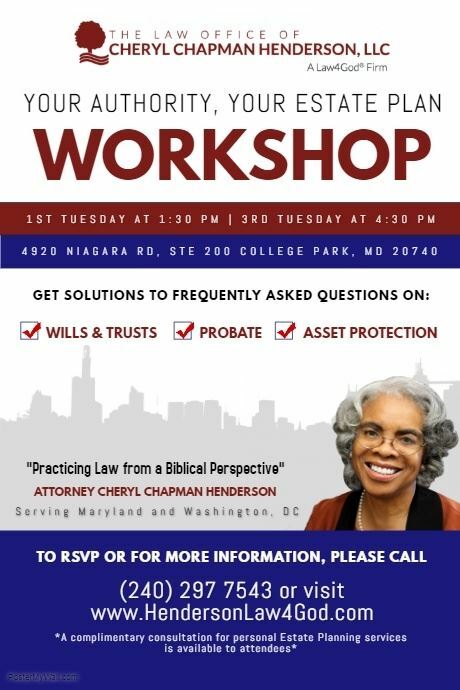 Details: Join us for a complimentary workshop as we cover frequently asked questions on WILLS & TRUSTS, PROBATE, ASSET PROTECTION, MEDICAID & NURSING HOME ISSUES, SPECIAL NEEDS PLANNING, and more. Our special offer: *Complimentary consultation for personal, Estate Planning service is available to workshop attendees. Probate and other matters are not inclusive. * = some conditions may apply. 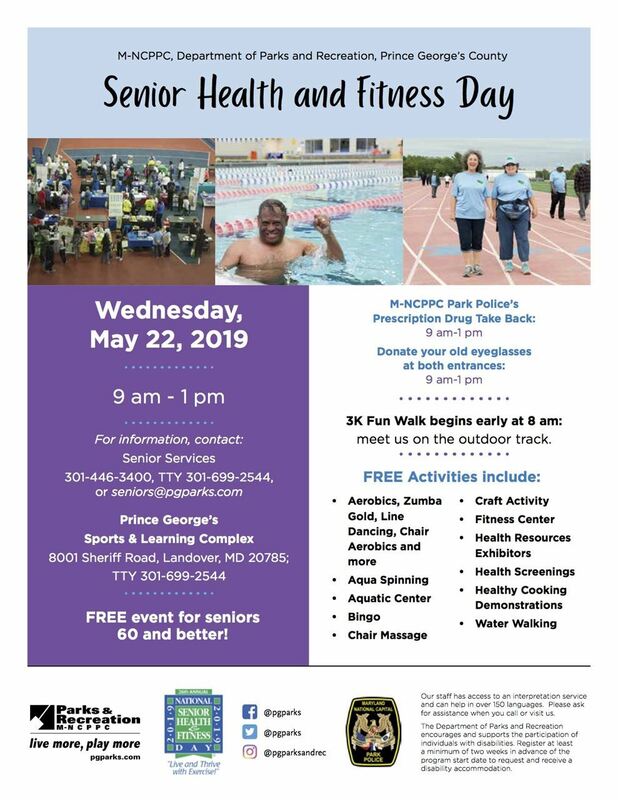 Join in the FREE Senior Health and Fitness Day at the Sports and Learning Complex on Wednesday, May 22! 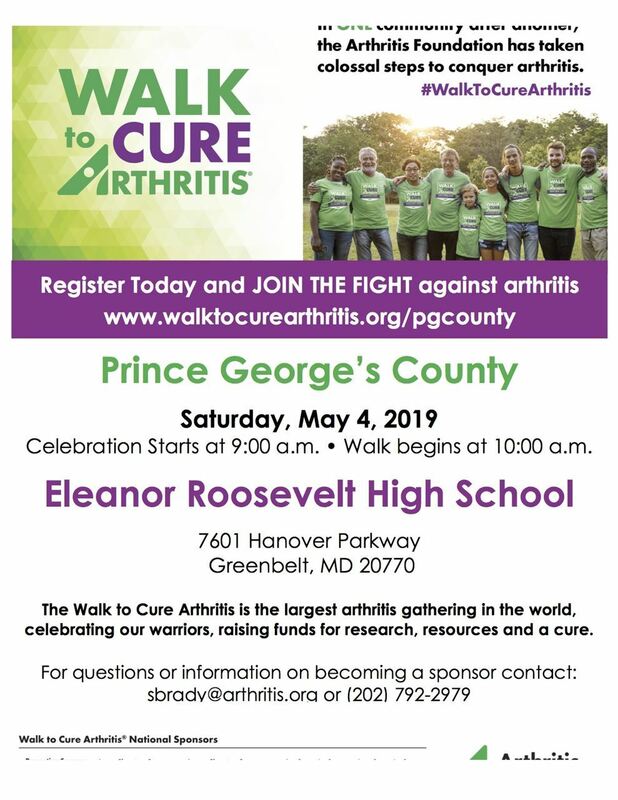 The Tribute at Medford is holding the first Annual Brain Health Fair on May 25, 2019 from 10:00 am - 2:00 pm at the Bowie Community Center, 3209 Stoneybrook Dr., Bowie, MD 20715. 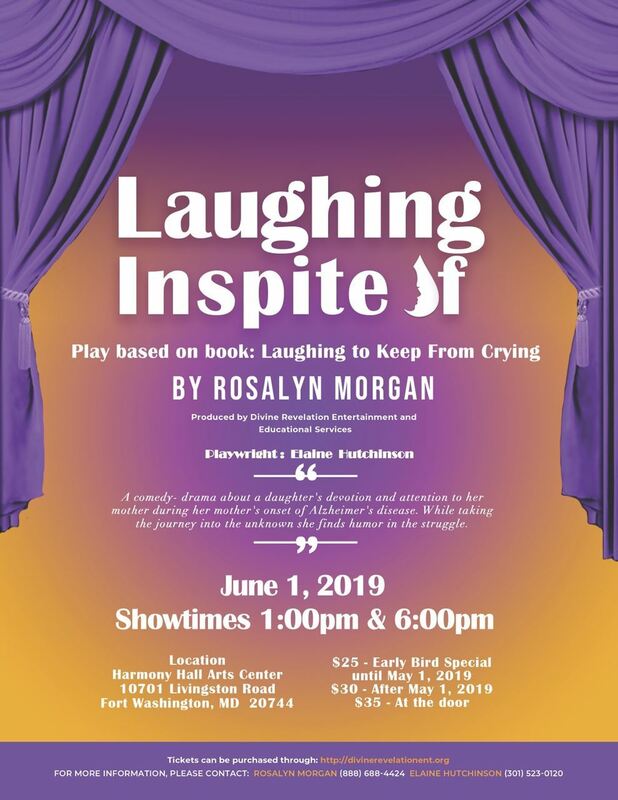 Contact Brittany Russell at 301-464-1737 or Larry Dix at 301-329-5565. 19 Apr 2018 April PGSPN Meeting: Retirement Planning Basics: How to Ensure Your Money Won't Run Out Before Your Life Does! 07 Dec 2017 Difficult Choices: What is Best for Your Loved One? 28 Jan 2017 PGSPN Monthly Meeting: Are You Ready to Be a Family Caregiver? 22 Jun 2016 Special Client Event "Mid-Year Update on the Markets and Global Economy"
21 Apr 2016 PGSPN Monthly Provider Meeting: PGSPN and YOU!!!! 17 Mar 2016 PGSPN Monthly Provider Meeting: "Making Your Contacts Count: The 8 Networking Competencies"
19 Nov 2015 Cataracts: Myths & Facts, What You Should Know Before Surgery! 27 Oct 2015 Don't Have Health Coverage? 01 Oct 2015 FutureCare Pineview: Dine and Dash!